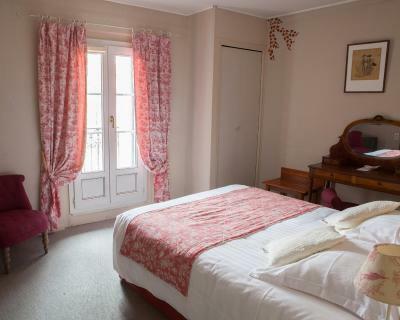 Lock in a great price for Hotel du Palais – rated 8.9 by recent guests! Part time clerk, Pauline, who is a student at the university, was incredibly friendly and helpful, encouraging us in our attempts to speak French. Everyone on the staff was very accommodating. Nathalie the director was truly outstanding. I was there 3+ weeks. She found me a great restaurant. just s wonderful stay. Perfect location in historic center. 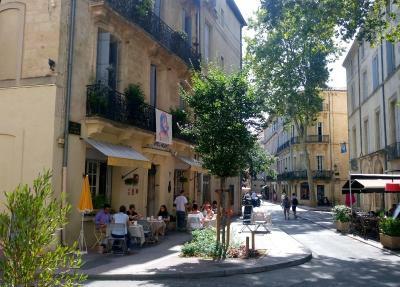 Best to explore Montpellier, close to everything and very quiet. It s not a modern hotel but very charming. 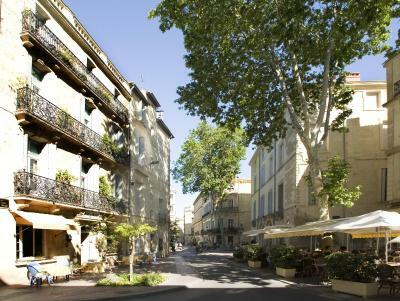 This is a beautiful hotel located right in the historic center of Montpellier. The room was clean, quiet, and comfortable, and the breakfast was very good (including self-service boiled eggs if one wanted them). The staff were friendly and helpful, and the presence of a lift was welcome. The location is superb -- the hotel is right in the pedestrianized historic center and right across the street from an excellent restaurant. We will certainly return there if we are ever back in Montpellier. The staff and location were exceptional. The young woman who manned the front desk managed my grumpiness at check-in with professionalism and charm. The hotel is situated in one of the loveliest quartiers of the city which is very close to all sites of interest but hidden from the tourist core. The owner and her staff treated us like family. The location was ideal and the rooms were spotlessly clean. We wished we could stay longer. Shower was wonderful. Staff very helpful finding our lost luggage. The staff was very helpful prior to arrival, they gave me very specific directions of how to use public transportation from the airport (and the train station). They also kept me informed about parking information due to the construction in the city. They room had very good windows, they kept out some of the street noise, it is a student town so their is some night life. The hotel also had a quiet air conditioner, which was a surprise since the hotel is charmingly older. Everything was clean, internet connection was fast and the staff was very pleasant and helpful. When we come back to Montpellier, I will definetly stay here again. 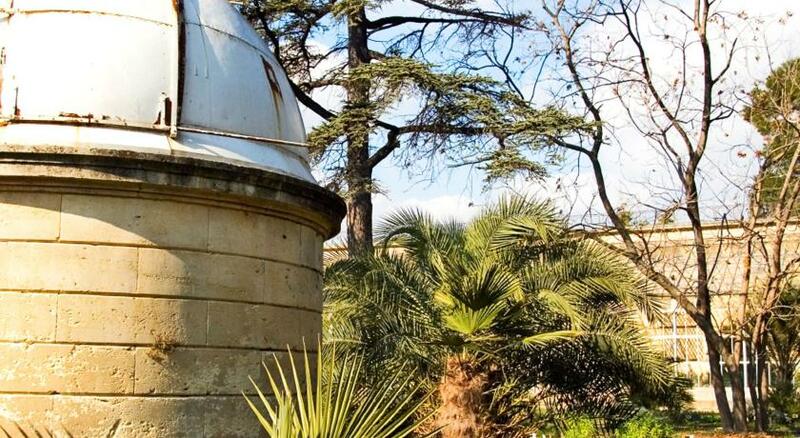 Located in Montpellier and located 650 feet from the Peyrou Gardens and 400 feet from Place de la Canourgue, Hotel du Palais is set in a 200-year old building. Featuring a shaded terrace, this property offers free WiFi access and baggage service. The air-conditioned guest rooms feature a flat-screen TV with cable channels. The private bathrooms have a bath or shower and a hairdryer. 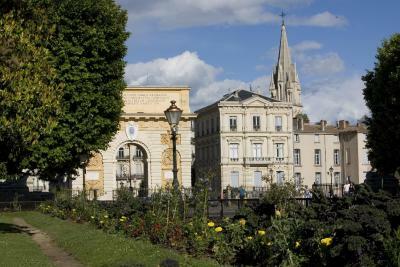 The hotel is 1,950 feet from Place de la Comédie, 0.6 mi from The Corum conference center and 0.6 mi from Montepellier Train Station. Montpellier - Mediterranee Airport is 5.6 mi away. 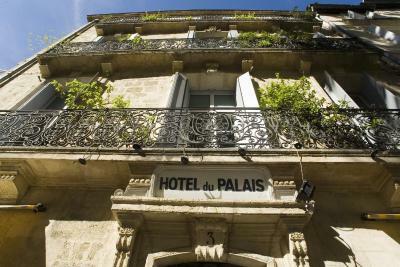 When would you like to stay at Hotel du Palais? This air-conditioned room features a flat-screen TV with cable channels and a mini-bar. The private bathroom has shower and a hairdryer. This air-conditioned room features a flat-screen TV with cable channels and a mini-bar. The private bathroom has a bat and a hairdryer. This room can accommodate an extra bed for children under 12 years old for an extra cost. Please contact the property in advance for further details. This air-conditioned room features a flat-screen TV with cable channels. The private bathroom has a shower and a hairdryer. House Rules Hotel du Palais takes special requests – add in the next step! Hotel du Palais accepts these cards and reserves the right to temporarily hold an amount prior to arrival. Beatifull old style french Hotel. 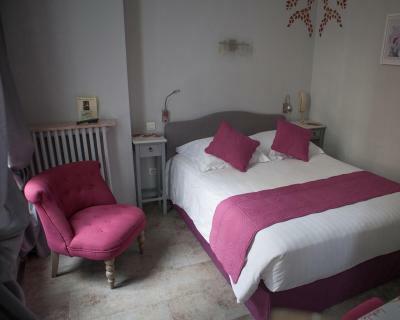 Nice furniished rooms, excellent breakfast, perfect location, friendly and helpfull staff. 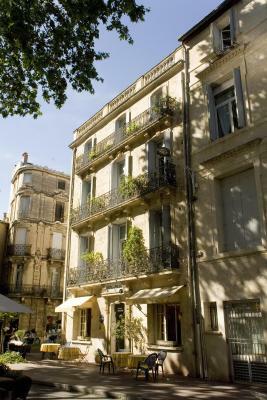 Thoroughly enjoyed our stay in this quaint hotel in a fantastic position in Montpellier. Staff were extremely helpful and room with balcony overlooking the street a must!!! Would certainly return and recommend to others looking to visit. Location in the old historic centre. Absolutely great. A couple of nights I could smell cigarette smoke from my room. I suspect it might have been from one of the employees. Fortunately, it wasn’t there for most of our stay. The building is so beautiful ! Very well situated in the old city. A real charm and pleasure classic french hotel. VERY CHARMING ! The breakfast is a little expensive (12 euros), but then we paid 5.50 for a coffee and a croissan in a nearby bar. 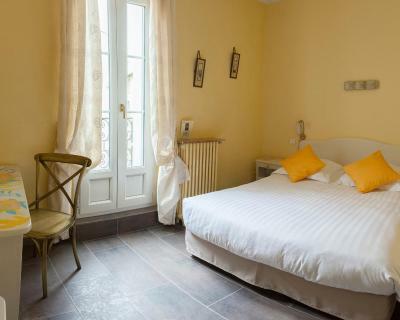 The position is wonderful, in the heart of the historical centre of Montpellier. The place is homely, and the staff courteous. The rooms are a little small (particularly the single rooms). Nothing it was all great!! Location difficult when you arrive by car, but hotel has deal with nearby garage. You cannot reach the hotel by own car. 100-150 meters walk. Very friendly staff. Helped book restaurant om a Sunday night, which is not easy in France. Very nice hotel and room. Charming location. I chose a single room but it was a VERY small room, with a window looking into a brick wall. The double rooms with a balcony are certainly much better. The breakfast buffet was very ordinary.